Grateful Blog: Day 70: When I was a Park Ranger in Canyonlands National Park, almost 20 years ago, I had scheduled duty of 9 days on and 5 days off. I stayed mostly in this little ‘Sheepherder’ trailer high above this place called ‘Horseshoe Canyon’. If you’ve ever seen the movie ‘128 Hours’ you’ve seenHorseshoe Canyon. It’s Amazing to say the least. That little gypsy trailer didn’t lack for much. It was pretty well equipped with a wood cook stove, propane lights and a little AM/FM car radio that ran on a little solar panel mounted on the back. We had a ‘solar’ shower too—yeah the old hang the black bag in the sun all day variety. Well this wasUtah, and it was 168 miles from the nearest ‘real’ grocery store inMoab,Utah. It was 46 miles of dirt and sand and rock road to get to the highway. It was 68 miles to get the mail. So there wasn’t much for towns around and there wasn’t much for radio. About 5 varieties of 90’s era country stations and one NPR/all jazz station. I listened to a fair amount of country, some NPR and a bit of jazz too but mostly it never struck me. I think something about that vast desert and jazz seemed incompatible. 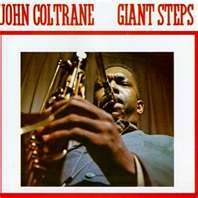 You could probably make a case for classical music and the ‘western’ variety of country but jazz found profoundly out of place. Until one night, that is, when I was back in the trailer listening. Grateful Blog: Day 69: I heard through the ‘grapevine’ that I’ve got a new fan these days. He’s a bit of a ‘mover and a shaker’ as it were. I don’t want to say his name because I don’t want to get him in trouble. He’s been listening to my CD ‘Ash and Bone’ a LOT and has become a really big fan very quickly. Clues? Well, his favorite song is ‘Take the Central GeorgiaHome’. He not much for long-winded prose and I’m not sure he’s ready to go on record yet in public, but privately he told a friend of a friend who knows my wife that he pretty much can’t be in the car without hearing it. I don’t know what’s cooler: That Gavin’s Mom is driving around playing my CD non-stop because she and her son dig it or that Gavin totally dig’s one of my favorite songs I’ve ever written. Either way I’m Grateful. I’ve sure gotta meet Gavin one of these days. Like I said, he’s a BIG fan of mine and well, I’ve gotta say in all honesty, I’m a BIG fan of his. 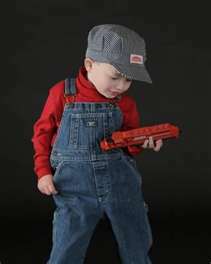 And one last thing: ‘Mommy, play that train song!’ Damn straight Gavin…Damn Straight! A bunch of years ago I went backpacking with my friend Nate at this place called ‘Snowgrass Flat’ up in the Goat Rocks Wilderness. It supposed to have a beautiful view but that day everything was fogged in so we not only couldn’t see the view but at some point, hiking at 6,000 feet on the Pacific Crest Trail we lost all sign of the trail too. It’s rough country and rather than fall off a cliff, we pitched our tent right where we stopped, got out the deck of cards and the whiskey and spent the rest of the day and night playing the world’s longest game of gin rummy, occasionally toasting everyone we could think of until the bottle was empty. In the morning I got up to use the ‘bathroom’ as it were, walked out of the tent, and at some point I managed to open my sleepy eyes and realized two things ‘WOW!’ The view ofMt.Adams,Mt.St HelensANDMt.Rainierwas beyond amazing. The second was that lost in the fog, we had literally managed to pitch out tent directly in the middle of the trail…It was an ironic sight, an incredible view and a great and memorable trip. The ‘Ash and Bone’ CD Release Show at Artichoke Music on February 18th was a bit like that morning. In a word: Amazing! The view was incredible and the trail ahead was clear. I’m not lost for words much but that night was one of those nights for me. I could not have enjoyed a crowd, a venue, a show or a night more than I did. To EVERYONE who could make it, Thank You!!! for making that one of the absolutely most special and singular night’s of my life. It was so incredible and just perfect. I’m so humbled by the sheer outpouring of your Love, Support and Enthusiasm. Let’s do THAT again—and Soon!!! We have a NEW show to share and this one’s going to be special—AND really cool. On Saturday morning March 17th (St. Patrick’s Day) Jerry and I will be getting up early to play LIVE in studio at KBOO 90.7 FM on during Wayne and Kathy Johnson’s ‘Swing and Country’ show at 8am. http://kboo.fm/SwingCountry Playing live on KBOO is a big honor to me considering I’ve been listening (and taping) the show for over 10 years. Or? (Here’s where it get’s cool!) Or you can come down to the station at 20 SE 8th Avenue, Portland, OR 97214 (Just south of E. Burnside by the Doug Fir—lot’s of parking that time of day) and Be Part of the Show, and see it Live. Yeah, Live! A bit like they did it in the ‘50’s. You can check out the station, meet the DJ’s, and as an added incentive, we’re going to have plenty of good local coffee and I’m buying a bunch of Voodoo Doughnuts. That’s right: Portland’s own World Famous Voodoo Doughnuts. http://voodoodoughnut.com/about.php It’s going to be a fun way to kick off the St. Patrick’s Day weekend and a very rare chance to part of a live studio audience. So yeah, a live in studio show, good coffee and Voodoo Doughnuts! Seating is EXTREMELY limited (and is already filling up! ), so to guarantee a seat ASAP, send an email directly to Wayne or Kathy at KBOO at kjwj@comcast.net or go to https://kboo.fm/user/4258/contact and send them a note and tell them you want to be part of the show! They’re requesting folks get there about 7:30-7:45am to get settled in and get the coffee and doughnuts going. I’ll also have the new ‘Ash and Bone’ CD’s there if you’ve not gotten one yet. Come on down, it’s going to be a Classic! So you know by now that ‘Ash and Bone’ is FINALLY out! It’s selling extremely well and you can get it at my BRAND NEW fantastic website at www.danwebermusic.com through CD Baby and iTunes. Scott Docherty at Redhare www.redhare.com did the brilliant design work on the CD and also built me a top notch website. 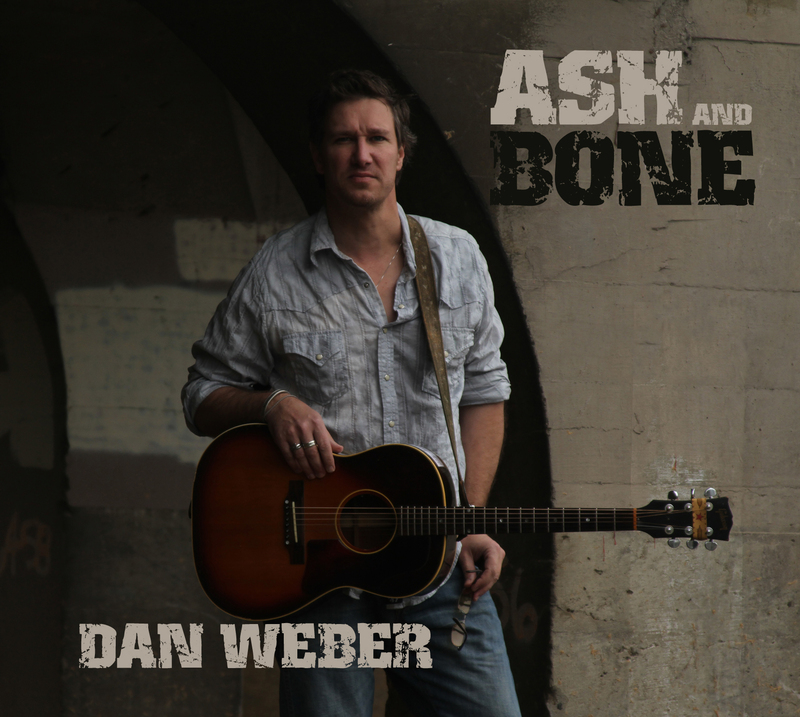 Be sure to check out his work and my site at www.danwebermusic.com for updates, new shows and links. Finally, our 2nd Official ‘Ash and Bone’ CD Release Show, at the fabulous Doverlaff House Concert Series, will be as special as the first. On Saturday March 24th it will be in the intimate ‘Tiki Room’ and will feature Mike MidLo of far and wide Pancake Breakfast http://pancakebreakfastmusic.com fame opening up the night. I first met Mike at the always incredible Sister’s Folk Festival and have been a big fan ever since. Last month week my song ‘Lost and Found’ was given an Honorable Mention in American Songwriter Magazine’s Lyric contest. http://www.americansongwriter.com/2012/01/lyric-contest-winners-januaryfebruary-2012/ It’s a big contest so it’s pretty darn exciting! Yup. My new blog ‘The Grateful Blog’ is now in its 65th day (only 301 days to go!). It was my New Years resolution to be Grateful for something or someone every day of 2012. It’s my way of giving something positive back to the Universe. You can find it at: http://danwebermusic.wordpress.com/ and click ‘Follow’. It’s pretty cool, or as my friend Barbara Louis recently said “The best way to start my day…reading Dan’s Blog!” Sweet! Please tell your friends to come see us play and say ‘Hi’. We’d love to meet them! Thanks again! for a truly Special, Amazing and Overwhelming show of support for the CD Release. Don’t forget to tell your friends, ‘Share’ on Facebook, Twitter, etc. It ALL really, really helps spread the word and takes just a minute or 2. And Thank you! for Listening,Reading, Sharing, and Helping me make this long musical journey possible!